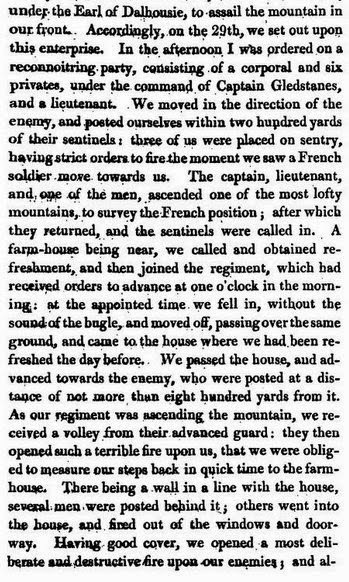 Major George Champion Crespigny, 68th Foot, was killed on 30 July 1813 in the Battle of the Pyrenees during the Peninsular War against Napoleon’s forces in Spain. 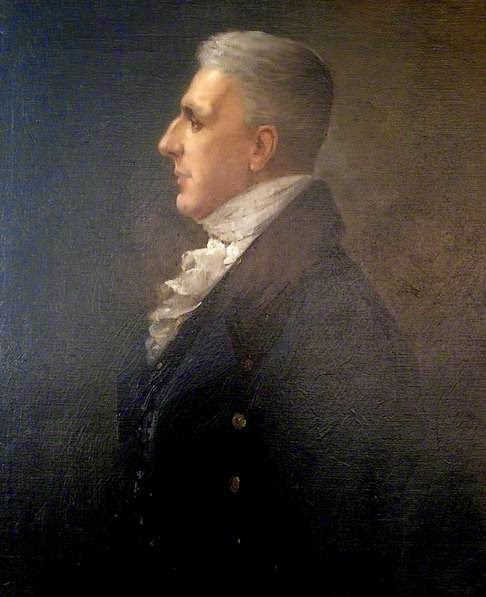 George was the son of Philip Champion de Crespigny (1738 – 1803) and his fourth wife Dorothea née Scott (1765-1837). He was born in 1783 at Hintlesham Hall, Suffolk. He was the tenth of fourteen children. Three of his older siblings died before he was born. On May 19 1804, at the age of twenty-one, George became an ensign, a regiment’s lowest-ranking officer, in the 13th Regiment of Foot by purchase. Philip (1765-1851) was a civilian prisoner of the French from 1803 to 1811. Anne (1768-1844) had married Hugh Barlow of Pembrokeshire Wales in 1791. Maria (1776-1858) married John Horsley, a captain in the Royal Horse Guards, in July 1804. Eliza (1784-1831) eloped with Richard Hussey Vivian (1775-1842) and they married at Gretna Green in September 1804. Vivian, later Lord Vivian, was a major in the 7th Light Dragoons. Vivian was soon to be promoted to Lieutenant Colonel. Charles Fox (1785-1875) had been at Cambridge University in 1803. As a younger son, George was probably destined for a career in the church, army, navy or possibly law. Although his father had been a lawyer, George chose the army. George had not been to Cambridge like his brother, so perhaps George was not suited to the career of a lawyer. An ensign was the most junior commissioned officer. In 1871 the rank was replaced with 2nd lieutenant. The duties of the officer included carrying the regimental colours, the flag or ensign of the regiment. 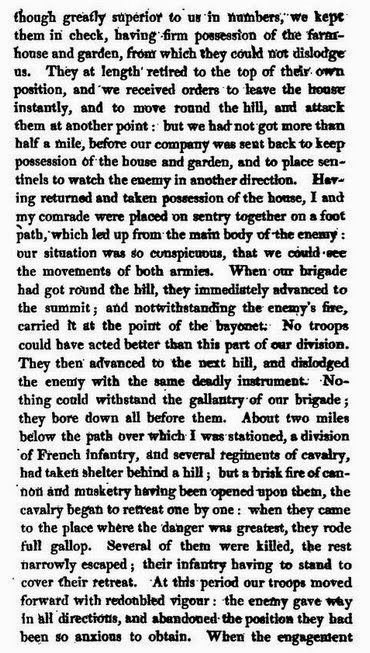 John Green, late of the 68th Durham Light Infantry, that is the 68th Regiment of Foot, wrote of his experiences in the Peninsular War from 1806 to 1815. 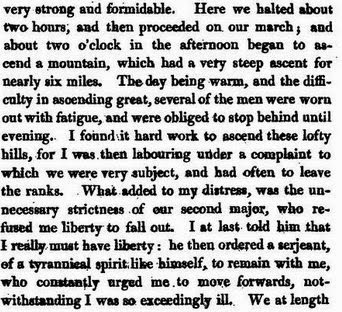 Green writes of the unnecessary strictness of a major when he, Green, was ill in the middle of July 1813. The major is almost certainly George de Crespigny. 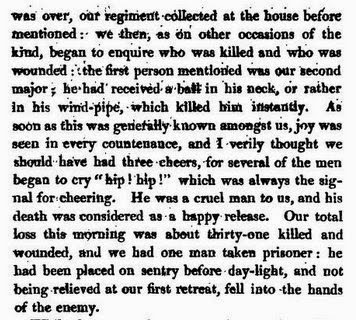 Green records the death of the Major ten pages later in his account of this part of the campaign. John Green wrote of the 30th of July and the events leading up to it including “Pampeluna” (as the siege of Pamplona was called by Green), the division being stationed at “Marcelain” (Marcaláin is 11 kilometres or 2 1/2 hours walk north of Pamplona). On younger sons at the time of Jane Austen: Handler, Richard, and Daniel Alan Segal. “Jane Austen and the Fiction of Culture.” Google Books. Rowman & Littlefield, 1999. Web. 04 Apr. 2015.